Heliatek GmbH (Dresden/Ulm) develops organic solar cells consisting of so called “small molecules” - organic dyes which are synthesized from hydrocarbons. Those solar cells are characterized by low cost, short energy payback time and inexhaustible availability of raw materials. In excess of low expenses, the customer’s benefits are highly flexible and light-weight modules (0.5 kg/m²), since the future product is going to be manufactured on foil substrates in a continuous vacuum coating process. Recently, Fraunhofer ISE certified a power conversion efficiency of 6.07 % for a tandem solar cell using Heliatek’s proprietary tandem cell technology. The cell with an active area of 2 cm² already possesses many of the essential characteristics of a large solar module. It was developed by Heliatek in cooperation with the Institute of Applied Photo Physics (IAPP) of the Technical University of Dresden based on results of the projects “Innoprofile” and “OPEG”, both sponsored by BMBF. The result represents an important milestone on Heliatek’s way to production of organic solar cells. In medium-term, it is planned to increase the conversation efficiency to 10%. As a next step on the way to mass production, Heliatek will cooperate with Fraunhofer IPMS in Dresden, having many years of experience with technological issues of organic electronics. Their Center for Organic Materials and Electronic Devices Dresden (COMEDD) is the leading centre for production technologies of OLEDs, devices which are very similar to Heliatek’s solar technology as far as production is concerned. To consolidate forces, the company founded in 2006 runs several joint research projects with the Fraunhofer IPMS. LDK Solar Co., Ltd, a leading manufacturer of multicrystalline solar wafers,today announced that it has entered into an agreement with Suqian City of Jiangsu Province for the development of PV power projects. According to the agreement, LDK Solar will develop PV power projects in buildings, plants and integration systems, totaling up to 300 MW by 2015. The terms, including financing, design and specific location of each of the projects, will require a feasibility study as well as final approval from relevant governmental departments prior to initiation. "Suqian City has unique advantages in developing PV projects, with average annual sunshine of up to 3,000 hours as well as strong support from the government for growing the solar energy industry," stated Xu Huiming, Vice Mayor of Suqian City. "Suqian City has become a leading area for the development of the solar PV industry and we hope that our partnership with LDK Solar will further increase our solar resources and promote the expansion of the local solar industry." "We are very excited to partner with Suqian City and to support the development of its local economy and Chinese solar industry," stated Xiaofeng Peng, Chairman and CEO of LDK Solar. "We are encouraged by the continued support from our government for PV projects and pleased with the enthusiasm for this partnership demonstrated by Suqian City." The PV application market has been rapidly developing in China this year and the Chinese government is supporting the establishment of the domestic PV market through the use of governmental financial subsidies. This article is one in a series featuring finalists from World Challenge 09 - a global competition seeking to identify and reward projects and businesses which bring economic, social and environmental benefits to local communities through grassroots solutions. Kenya Biogas Project was created to promote an environmentally friendly way of tapping biogas as a clean source of energy. Its objective is to replace wood with human waste in the production of biogas in Kenyan prisons, reducing the negative environmental impact from using firewood as cooking fuel. The project looks to create a model for producing biogas that demonstrates human waste, not just animal waste, can be used as the raw material. The gas is then used in the prison kitchen and to fuel water boilers. What are the benefits to the community and environment? Substitution of firewood with biogas as fuel in the prison reduces deforestation. This benefits the community in the long-term by increasing the amount of rainfall and helping to reduce drought, which in turn helps to improve food security. Food security translates to improved health, which helps to improve economic prosperity in the community. Water used to transport the prisoners' waste to the biogas plant is recycled and can be reused for agricultural purposes. Recycled water is better for agriculture since it has nutrients required by crops. How has the project changed people lives? Use of biogas in prison kitchens has helped to improve the health of prisoners involved in cooking by mitigating the harmful effects of inhaling firewood smoke. The prison’s biogas plant can be used to treat diseases that pose high health risks to the community. The project has helped curb diseases such as cholera that were rampant in Meru Prison and its environs as a result of contaminated water. It has also shown the community that there is an alternative to firewood that is cheaper in the long term. This is the first installation of the Xantrex and Schneider Electric one megawatt (MW) PV Box Solar Power Conversion Substation – a complete solar power solution that includes two Xantrex GT500 inverters, system monitoring, security detection, and lighting in an integrated solution. The units were selected by EDF EN Canada, an EDF Energies Nouvelles Company, for use in its 23.4 MW Arnprior Solar Project scheduled to start operating in December 2009. The Project is being developed as two installations under the Government of Ontario’s Standard Offer Program, which was formed to help replace coal-fired power generation. "We are excited to be part of the largest Canadian solar installation to be completed this year,” says Ted Campbell, President and CEO of Xantrex Technology Inc. “The PV Box designed and built by Xantrex and Schneider is another industry first and we are pleased to offer our global customers a comprehensive electrical solution which dramatically reduces solar plant installation costs. By reducing installation costs via turn-key PV substations, we are doing our part to make solar energy more affordable and a better alternative to other forms of power generation." EDF EN Canada’s President and CEO Tristan Grimbert adds, "This project is a great advancement in Ontario's long-term commitment to solar power energy. 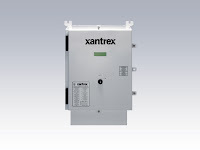 Installing the Xantrex/Schneider PV Box means a lower installation cost and reduced installation time for the project. We are confident that the PV Box combined with EDF EN’s expertise in project design, development and management will result in a successful installation." Universities aren't shy about touting their green initiatives, and for good reason. When making a decision about what college to attend, as well as who to work for after they've graduated, most Millenials will opt for the greener choice. But a few well-publicized green initiatives don't make a college more environmentally-friendly than the next; Yale has gotten tons of press about its planet-friendly practices, but it was beaten out by fellow Ivy Harvard, in Greenopia's recently-released environmental rating of 100 of the largest universities in the United States. Click here to see the full rankings and all the Universitys' rankings. In a positive outlook for the biodiesel industry, Pike Research, a new cleantech analysis firm headquartered in Boulder, Colo., has predicted robust growth over the long-term for the global renewables market. “The study started out as an assessment of technologies in the biofuels industries, but then it grew into a more of a market analysis,” said Robert McDonald, author of the report. Recycled greases, however, do not have the same potential that algae or jatropha holds for the biodiesel industry over the long term, the Pike Report said. “They’re planting a lot of jatropha right now, but it will take four to five years to mature, so we’re looking at 2013-2014 before it starts to make an impact,” McDonald said. The Pike Report said that the biofuels market has the potential to triple within the next decade. A collaborative effort by the U.S. Navy, Biodiesel Industries, Inc. and Aerojet successfully demonstrated methods to produce cleaner and more reliable sources of renewable fuels for military use. The system, named ARIES (Automated Real-time, Remote, Integrated Energy System), is a highly automated, portable biodiesel production unit that can be controlled from a remote location. These features ensure reliable process control and optimal production yields in a system that can be readily and widely deployed. ARIES is the culmination of more than six years of research, development, demonstration and validation by the Naval Facilities Engineering Service Center (NFESC) and Biodiesel Industries. The addition of Aerojet’s expertise in integrated system design, fluidic management and control systems development, coupled with decades of experience in chemical formulation processes has allowed the partnership to make extraordinary strides in the last 12 months. A key issue with biofuel production has been the ability to access inexpensive feedstocks that do not compete with agricultural land use or the production of food. The ability to use locally available non-food feedstocks for biodiesel requires a flexible production process and technical expertise and control not easily associated with small- scale facilities. However, with ARIES, one data and process control center has the potential to remotely operate hundreds of scalable facilities integrated with next-generation feedstock cultivation, producing millions of gallons of biofuel per year. “Biodiesel Industries’ years of advanced work with jatropha, algae and other biofuel feedstocks are critically important to the ARIES platform. In the coming months, we expect to announce several new developments with our proprietary methods of feedstock cultivation that make the ARIES system an ideal solution for the Navy with significant implications in the commercial sector as well,” according to JJ Rothgery, Chairman of the Board of Biodiesel Industries. ARIES incorporates Aerojet’s systems control technologies to provide real-time sensing and management of key chemistry and processing parameters. These technologies, coupled with Biodiesel Industries’ 10-year production database, allow automation of the entire process, resulting in enhanced yields, reliable quality control and personnel safety assurance. Remote sensing also enables monitoring and operation from a single data and process control center for biodiesel production facilities in numerous locations around the world. Following the recent successful demonstration of ARIES for the U.S. Navy, additional capabilities are now being installed and the unit will be moved to the National Environmental Test Site at Naval Base Ventura County, in Port Hueneme, Calif. There, the ARIES system will undergo further demonstration and validation leading to integration with more complex systems. Starting today, the 3rd Renewable Energy India 2009 is a global platform to showcase the potential of power generation using renewable resources. The expo, adorning 3-day long concurrent conference sessions, is intended to be a forum to nurture business contacts, imbibe latest technological trends and prepare for the exponential growth of this sector in India. In one of the largest investments in company history, PECO today announced ambitious plans to install more than 1.6 million residential and commercial smart meters, deploy advanced communications networks, and utilize the latest in digital smart grid technology. The $650 million plans, to be filed this month with the U.S. Department of Energy (DOE) and Pennsylvania Public Utility Commission (PUC), could save customers about $1.5 billion during the life of the project, improve service and benefit the environment. Additional information can be found at www.peco.com/SMART. The company’s plans include building an advanced metering infrastructure (AMI), providing smart meters for 600,000 customers by 2012 and all 1.6 million customers in 10 years, and upgrading the company’s electric transmission and distribution system with the ability to identify and correct certain system problems before they impact customers. The first plan, filed today with the DOE, seeks $200 million in matching funds through the federal stimulus grant program. Included in the submission are letters of support from nearly 100 organizations including: members of Congress; city, county and state officials; chambers of commerce; and vendors. A stimulus grant would allow for a faster, wider smart meter and smart grid deployment. “We imagine a day coming soon in which customers can get real-time information about how they use energy and energy costs. They will be able to remotely control appliances, save money and help the environment. We envision a more modern, highly reliable energy delivery system that will not only keep the lights on, but better accommodate electric vehicles, energy storage facilities, and renewable energy,” O’Brien said. 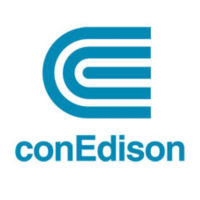 Consolidated Edison Company of New York, Inc. announced that it is launching a $6 million smart grid pilot program in northwest Queens that will test how various technologies support efforts to modernize the electric grid. It will provide customers with more information about their energy usage, and help customers use energy more efficiently and save on their electricity bills. Smart grids integrate information and communication technology into electricity generation, delivery, and consumption, making systems cleaner, safer, more reliable and efficient. Con Edison’s 18-month demonstration project combines cutting edge technology with existing innovations that allow, for example, the utility to test and evaluate the company’s response to customer use and power interruptions. One of the innovations involves a distributed generation project with the City University of New York to study how solar energy can be integrated into the New York City electric grid. The solar energy will be obtained from a 100kW photovoltaic system on the roof of LaGuardia Community College. Con Edison’s comprehensive, urban city smart grid pilot will take place within the company’s Long Island City network, an 8.3 square-mile-area, which has a customer density mixture representative of other areas in the company’s system. The network entirely or partly includes the neighborhoods of Astoria, Long Island City, Sunnyside and Woodside. The location of the smart grid pilot also gives Con Edison greater flexibility by housing necessary equipment on its own property. Approximately 1,500 customers will receive smart meters, the main component of an Advanced Metering Infrastructure (AMI). Other AMI features include automatic outage notification, remote meter reading, remote reconnection and the ability to communicate energy usage information via other smart building technology to web portals or in-home displays. The web portals and in-home displays can show energy usage by appliance and nearly 300 eligible customers will test this technology. * plug-in electric vehicles and their charging stations. The research and development project is the company’s first step in an effort to expand smart grid technology throughout New York City and Westchester County. Con Edison will continue working with the state Public Service Commission, other stakeholders, and industry groups to grow and expand smart grid technology across the system. By the end of this month, Con Edison will file proposals with the U.S. Department of Energy for stimulus funds to help finance approximately $375 million in smart grid projects. Stimulus grants, if secured, will broaden the scope of the company’s smart grid efforts. Some of these projects include the addition of more than 40,000 smart meters, more intelligent underground and overhead systems, and a sophisticated command and control network that will serve as the “brain” of an enhanced Con Edison smart grid. Also, the utility has worked closely with the Electric Power Research Institute (EPRI), the non-profit organization that recently delivered a smart grid interoperability roadmap report to the National Institutes of Standards and Technology, which will oversee development and implementation of national advanced grid standards. “We are working with Con Edison on the Queens smart grid project to demonstrate the concept of interoperability that will be critical for widespread deployment of smart grid,” said Arshad Mansoor, vice president of Power Delivery and Utilization at EPRI. Con Edison’s smart grid pilot project was developed after five years of research and development. Smart grid technology is part of the company’s EnergyNY plan (www.coned.com/energyNY), a blueprint that balances energy-efficiency initiatives with infrastructure investments to meet the region’s increasing need for energy. eSolar develops its California projects on parcels of previously disturbed private lands, avoiding many of the permitting and environmental pitfalls of development on pristine desert lands. Located in northern Lancaster, Sierra SunTower is built on private land designated for heavy industrial use. The decision to site projects solely on private land is unique within the utility-scale solar industry, and the distinction has garnered support from local environmental advocates. "eSolar demonstrates that pristine wildlands do not have to be sacrificed in order to keep the lights on with clean energy," remarked David Myers, Executive Director of the Wildlands Conservancy. "eSolar's efforts to reduce its impact on the surrounding environment demonstrates a level of foresight we hope to see from other solar developers in the future." U.S Department of Energy Secretary Steven Chu announced that more than $327 million in new funding from the American Recovery and Reinvestment Act will go toward scientific research, instrumentation, and laboratory infrastructure projects. Ten of DOE’s national laboratories in six states will be receiving funds, along with researchers at institutions of higher learning across the nation. - Fermi National Accelerator Laboratory; Batavia, IL—$60.2 million, including $52.7 million for research on next-generation particle accelerator technologies; and $7.5 for neutrino research in collaboration with Brookhaven National Laboratory. - Lawrence Berkeley National Laboratory; Berkeley, CA—$ 37.8 million, including $13.1 million to upgrade equipment at the DOE Joint Genome Institute; $11 million for fusion energy research; $8.8 million for equipment improvements at the Advanced Light Source; $4 million for new instrumentation at the DOE Joint BioEnergy Institute, one of three DOE Bioenergy Research Centers; and $875,000 for mathematical analysis related to the development of Smart Grid technology. - SLAC National Accelerator Laboratory; Stanford, CA—$21.8 million, including $20 million for an experimental end station at the Linac Coherent Light Source to study high energy density plasmas; and $1.8 million for improvements at the Stanford Synchrotron Radiation Lightsource. - Princeton Plasma Physics Laboratory; Princeton, NJ—$13.8 million, including $8.8 million for a variety of initiatives in fusion energy research and $5 million for infrastructure improvements at the laboratory. - Brookhaven National Laboratory; Upton, NY—$9.5 million, including $3 million for improvements at the National Synchrotron Light Source; and $6.5 million for neutrino research. - Oak Ridge National Laboratory; Oak Ridge, TN—$8.7 million, including $5.4 million for equipment at the DOE BioEnergy Science Center, a DOE Bioenergy Research Center; $3.2 million to seed development of computerized knowledgebase to integrate masses of data flowing from DOE-supported genomics and systems biology research; and $180,000 for fusion energy research. - Pacific Northwest National Laboratory; Richland, WA—$5.7 million, including $4.9 million for integrated assessment modeling for climate; and $867,000 for mathematical analysis related to the development of Smart Grid. - Argonne National Laboratory; Argonne, IL—$5.6 million for improvements at the Advanced Photon Source. - Lawrence Livermore National Laboratory; Livermore, CA—$810,000 for fusion energy research. - Sandia National Laboratories; Sandia, NM, and Sandia, CA—$800,000, including $688,000 for mathematical analysis related to the development of Smart Grid; and $75,000 for fusion energy research. In March Secretary Chu announced $1.2 billion in DOE Office of Science Recovery Act projects. In July, DOE announced a new Office of Science Early Career Research Program to be funded with $85 million in Recovery Act funds. With this third and final round of projects, the Obama Administration has now approved projects covering the full $1.6 billion that the DOE Office of Science received from Congress under the Recovery Act. Walmart Puerto Rico and SunEdison, North America's largest solar energy services provider, today announced plans to deploy rooftop solar systems on five Walmart PR stores with the potential for 23 stores over five years. The project will be the largest renewable energy project ever developed on the island. Given traditional energy rates, the systems will provide Walmart long-term predictably priced solar-generated energy. Under a solar power services agreement with Walmart, SunEdison will finance, own, build and operate the photovoltaic solar energy systems, which deliver long-term, low-risk returns to project financiers. Construction on the first 895kW rooftop system at Walmart Supercenter Caguas is scheduled to begin before the end of 2009. Each solar power-generating system installed may vary, but across the Puerto Rico sites, on average a system can provide 25 to 35 percent of the power for the store or club on which it is installed. Throughout the duration of a 15 year contract, the zero-emission systems are projected to produce 90 million kilowatt hours (kWh) of electricity. Renzo Casillo, president & CEO of Walmart Puerto Rico added that, "we are transforming every aspect of our operation, and that includes energy consumption. Today, our new Walmart stores are 21 percent more energy-efficient than our original 2005 stores. Through the implementation of energy-saving strategies and the installation of energy-efficient equipments, last year we achieved an 8.7 percent reduction in energy consumption compared to the previous year. With this solar energy project we'll continue to broaden our efforts towards our main objective and commitment of being supplied 100 percent by renewable energy". SunEdison COO Carlos Domenech said, "We commend Walmart's aggressive leadership in renewable energy as a model for all industries. Our collaboration in Puerto Rico will provide a long-term financial return on Walmart's investment in energy. The project also brings the solar industry to Puerto Rico with well-paying jobs for the island on top of the reduction of greenhouse gases to improve the environment." According to the above quote from the USGBC, RECs must cover electricity consumption over a two year period. However, purchasing single year vintage RECs for double the annual electricity consumption is not equivalent to a two year contract, and does not meet Green-e Energy standards described in the next section. Federally funded buildings must comply with the above statement regarding REC vintages. In other words, the REC volumes and vintages for any contract must match the corresponding years and quantities within the contract. The intent is to match the REC vintage and quantities with the consumption dates as closely as possible, mimicking the way a utility provides green power. For example, a two year contract from 2010-2012 must contain the appropriate percentage of REC vintages from each of the years in the contract. Based on Green-e Energy requirements that a certified product must be generated and sold for use in the same calendar year (or six months prior and three months after), a purchase of single year vintage RECs for a multi-year claim can only be Green-e Energy certifiable for the first contract year. For example, a two year contract from 2010-2012 cannot be Green-e Energy certifiable beyond the first year (2010-2011) if the total electricity consumption for the two year contract is provided by vintage 2010 RECs. Therefore, we believe any purchase without regard for correct sourcing of vintages does not fulfill the United States Green Building Council’s (USBGC) requirements for a two year purchase agreement that meets Green-e Energy National standards. Furthermore, through the alternate LEED Green Power compliance path, all utility green power procurement programs are required to source appropriate vintages in a Green-e Energy eligible “bundled” (Electricity with RECs) delivery method. Again, the intent is to match REC vintage with the dates of consumption as closely as possible, replicating the way green power (the actual electrons) is generated and consumed. By making vintage based REC investments, the LEED program can play a vital role in building and sustaining a market that incentivizes renewable energy capacity on our nation’s grid. RECs will most likely be a more valuable commodity in the future with the relative certainty of a Federal Renewable Energy Standard requiring a percentage of electricity generation to come from renewable sources, and by sourcing correct vintages, the problem of “very inexpensive RECs” will be stabilized by the market for future RECs. The intent of the USGBC in the Green Power Point is to “encourage the development and use of grid-source, renewable energy technologies on a net zero pollution basis.” We believe that a long term (2 years or more) contract with a renewable energy generator creates a guaranteed future revenue stream more likely to incentivize renewable energy generation than a short term contract. By sourcing RECs that match actual electricity consumption, the REC provider is able to negotiate long term contracts for RECs with renewable energy producers, such as a pulp mill in Georgia or a biofuel plant in Alabama. These long term contracts provide renewable energy producers with something more valuable than a dollar in their pocket - it affords them long term investment planning certainty for their business. Without attention and support for vintages, these generators cannot have the certainty that a dollar today is anything more than stewardship fad. Renewable Energy Certificates play an important role in supporting renewable energy production in the United States. The LEED market has the potential to incentivize the industry further, and the best way to support an emerging industry is a long term contract that aligns the years of generation with the years of consumption. Based on Green-e Energy requirements, an up-front purchase of single year vintage RECs for a multi-year claim can only be Green-e Energy eligible for the first contract year. Therefore, we believe any purchase without regard for correct sourcing of vintages does not fulfill the USGBC’s requirements for a two year Green-e Energy certifiable contract. Furthermore, by supporting clean renewable energy in a more economically sustainable manner, long term REC contracts based on vintages could remedy the stigma held by some building professionals that RECs are simply a way to “purchase cheap LEED points”. The voluntary LEED market has the potential to advance a number of environmental initiatives completely independent of Federal or State regulation. To extend its influence further outside of the built environment, the USGBC should continue to maximize the potential of these emerging environmental markets by incentivizing building professionals to invest in environmental assets associated with the building industry. Carbon Solutions Group is an environmental asset management, trading and development firm founded in 2006. Carbon Solutions Group is headquartered in Chicago, Illinois and has offices in San Francisco; and Lima, Peru. Our staff consists of financial traders, business/policy analysts, and environmental consultants. These diverse backgrounds enable Carbon Solutions Group to deliver well-rounded solutions within our specific core competencies of environmental asset valuation, trading, and risk management. Carbon Solutions Group has been in the voluntary Renewable Energy Certificate market since early 2007. Our primary focus is working with LEED clients to obtain Renewable Energy Certificates (RECs) for their green building projects. Since 2007, the voluntary market has fluctuated widely in price and quantity of RECs. Concurrently, Carbon Solutions Group has remained steadfast in its stance on Renewable Energy Certificates, especially regarding ethics and vintages. Power Assure™, Inc, a developer of power management solutions for data centers, announced it has completed its Series A round of funding, raising $2.5 million from Draper Fisher Jurvetson and individual investors. The company also announced its new executive team and members of the Board of Directors. Power Assure's software solution is unique among competitive offerings in that it goes beyond simple power monitoring of data centers to actively manage server capacity to match application load. Power Assure develops and delivers business automation software that reduces energy use and carbon emissions by an average of 50% in commercial, corporate, and government data centers. Unlike other offerings that are rule or time-based, Power Assure dynamically manages server capacity based on a sophisticated calculation engine's processing of extensive real-time data. 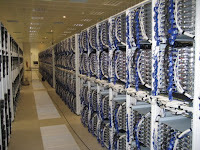 The company has developed patent-pending algorithms for calculating the optimum number of servers required at any time to maintain Service Level Agreements while shutting down excess capacity. Leveraging its business automation platform, Power Assure automates a customer's own procedures for the turning off and bringing up of servers, ensuring smooth transitions and no downtime. The company has completed initial installations for revenue, and the platform is undergoing further trials at a number of customer sites. Borrego Solar Systems, Inc., a leading designer and installer of grid-tied solar electric power systems, today introduced a new financing option for schools, companies and government organizations interested in adopting clean, renewable solar energy. Borrego’s new power-purchase agreement (PPA) program gives its customers a new, simple way to finance a solar project without having to assume the up-front costs of the project or work with a third-party financier. With $30 million backing from a PPA fund launched by Walsin Lihwa, a current investor, Borrego is well positioned to develop and finance more than $100 million solar projects over the next 12 months. The PPA program is also the first commercial PPA of its kind designed to finance school and commercial solar projects in Massachusetts. Borrego has already received interest in the program from early customers in Massachusetts, New Jersey and California. Borrego finished 2008 with $58 million in revenue and more than $90 million in contracts, having completed some of the country’s largest projects for schools, companies and government agencies. By offering a commercial PPA, the company expects to increase the size and scope of projects it designs, builds and manages. 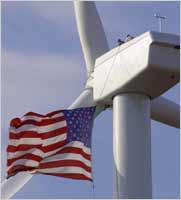 The U.S. wind energy industry installed 1,210 megawatts (MW) of new power generating capacity in the second quarter, bringing the total added this year to just over 4,000 MW – an amount larger than the 2,900 MW added in the first six months of 2008, the American Wind Energy Association (AWEA) said today in its second quarter (Q2) market report. While the number of completed wind farm installations was solid, AWEA said it is seeing a reduced number of orders and lower level of activity in manufacturing of wind turbines and their components, a development it termed troubling in view of the fact that the U.S. industry was previously on track for much larger growth and the global wind power industry is continuing to expand. During the second quarter, the U.S. wind energy industry completed a total of 1,210 MW in 10 states, enough to power the equivalent of about 350,000 homes. These new installations nudge total U.S. wind power generating capacity to 29,440 MW, according to the report. The U.S. wind power generating fleet now offsets an average of 54 million tons of carbon annually, reducing carbon emissions from the electricity sector by 2% or the equivalent of taking 9 million cars off the road. The state posting the fastest growth in the 2nd quarter was Missouri, where wind power installations expanded by 90%. Pennsylvania and South Dakota ranked second and third in terms of growth rate in the second quarter, expanding by 28% and 21% respectively.